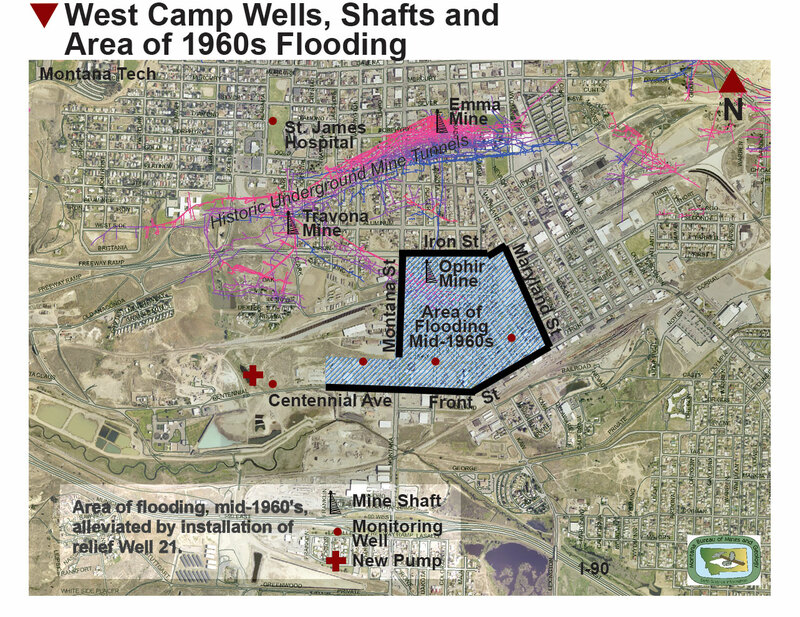 Montana Resources and Atlantic Richfield are currently funding a Montana Tech graduate student to develop a remote system to sample Pit water quality. The student will review options to collect the required data, including aerial or water-based drones that can be operated from the shore of the Pit. Due to the size of the Pit and the need to collect samples from locations throughout it, the ability to communicate with the drone at a distance of up to 2 miles is essential. Work began during the summer of 2015 and will continue through the 2015-2016 academic year and summer 2016, with final testing during the June and July, and collection of Pit samples by August 2016. Electrical engineering assistant professor Bryce Hill is supervising the project. He said the device could potentially be used for applications beyond the Berkeley Pit. Read more on the project from The Montana Standard. 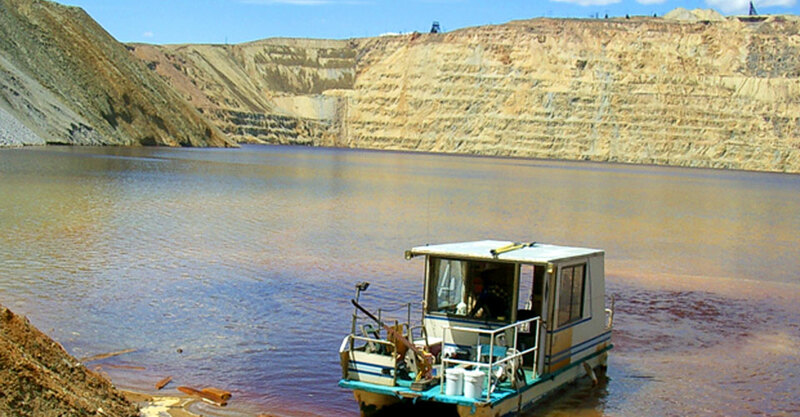 Due to safety concerns related to landslides (or sloughs) along the Pit rim, the Montana Bureau of Mines and Geology has not taken this research boat out on the Pit lake for water quality sampling since 2012.